The "cloud first" strategy became an undeniable reality in 2018. Despite the continued heavy enterprise investment in legacy storage systems, many leading worldwide companies are replacing their storage silos with global file services managed in the cloud and using this technology shift to become true global units. Cloud first gained momentum from the GDPR regulations that came into effect in May 2018, forcing companies to consolidate their remote and branch office storage solutions to be effectively managed and governed. In 2019, it's becoming less of an option for organizations to keep islands of unmanaged, unsearchable, "dark data", as enterprises can be at increased risk of violation. In 2019, a cloud first strategy for storage will reach almost universal adoption, as the benefits become clear to IT managers and CIOs. Replacing traditional, siloed storage with global file services enables easy collaboration across departments and regions. And even more importantly, global file services enable companies to mine big collections of unstructured data and make better decisions, assisted by the latest groundbreaking advancements in AI and natural language processing. Aron Brand, CTO of CTERA Networks, has more than 22 years of experience in designing and implementing distributed software systems. 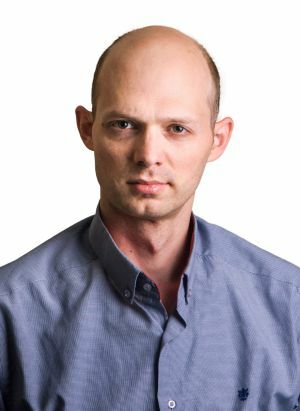 Prior to joining the founding team of CTERA, Aron acted as Chief Architect of SofaWare Technologies, a Check Point company, where he led the design of security software and appliances for the service provider and enterprise markets. Previously, Aron developed software at IDF's Elite Technology Unit 8200. He holds a BSc degree in computer science and business administration from Tel-Aviv University.